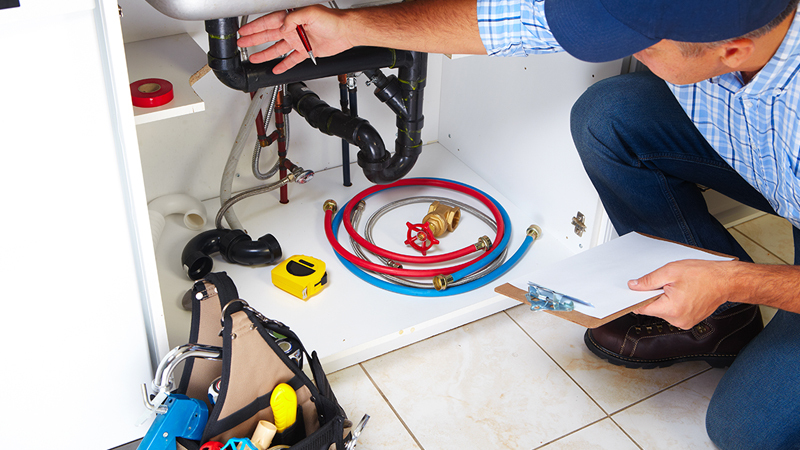 No need for multiple contractors, along with our bathroom and kitchen remodeling services we can also handle all your plumbing needs with our plumbing service. We do everything, sink, toilet, tub, water heater, if it is in your home and has to do with water we can fix it or upgrade it. Let us know the problem, we will let you know the solution and at a great price. We are licensed, bonded & insured and our clean and courteous technicians are well trained. At Remodeling R Us our vast years of experience and training will give you complete confidence as we work in your home or business. Our home remodeling plumbing services includes general plumbing and pipe repair for both home and commercial properties including drain stoppages, toilet back-ups to fixture replacements & drippy faucets to fixing major water leaks, and installation of tankless water heaters and much more. With Remodeling R Us our prices will be quoted before we start the job and our technicians will work clean leaving that area of your home cleaner than when we arrived. We want to be the only home repair and remodeling company you will ever use and we know that in order to gain your loyalty we must be at our very best with every aspect of our home remodeling service. We are your Orange County and Huntington Beach remodeling experts.